If you own land someone may ask if they can metal detect on it and ask you to sign a Finds Agreement. There are various versions, but all have big implications for both you and any hidden archaeology. 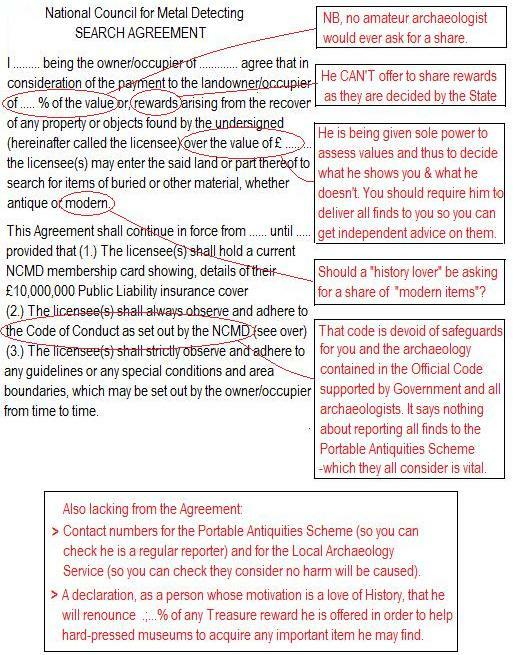 As there’s no official guidance available you’ll be reliant on the detectorist alone to explain it. You may feel that’s not ideal so here are some points to consider. (The most frequently used agreement is shown but our comments apply to most others).